If you know me, you know I’m a hopeless romantic and a sentimental heart. And if you know Daniel, you know he is always up for a good adventure, always willing to do something fun, spontaneous, and unique. And he always embraces and smiles at my romantic heart and crazy ideas! Mix the two together and we get absolute magic! These qualities meld together well (and sometimes disastrously hahah) and I love “us” together and the way my guy always believes in my wild dreams and ideas. 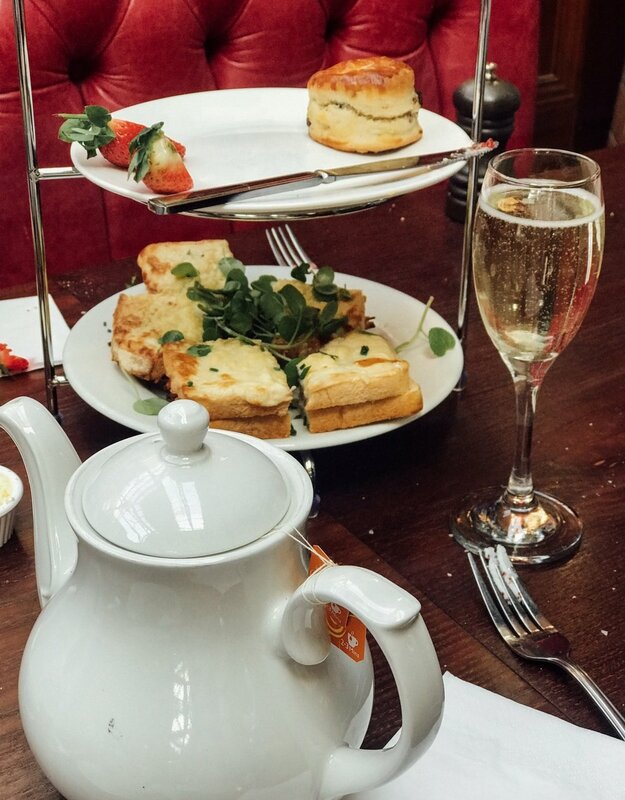 It sounds silly to some, wanting to go to The Royal Wedding, but the moment I found out about Meghan Markle marrying Prince Harry of Wales, I knew we had to go! 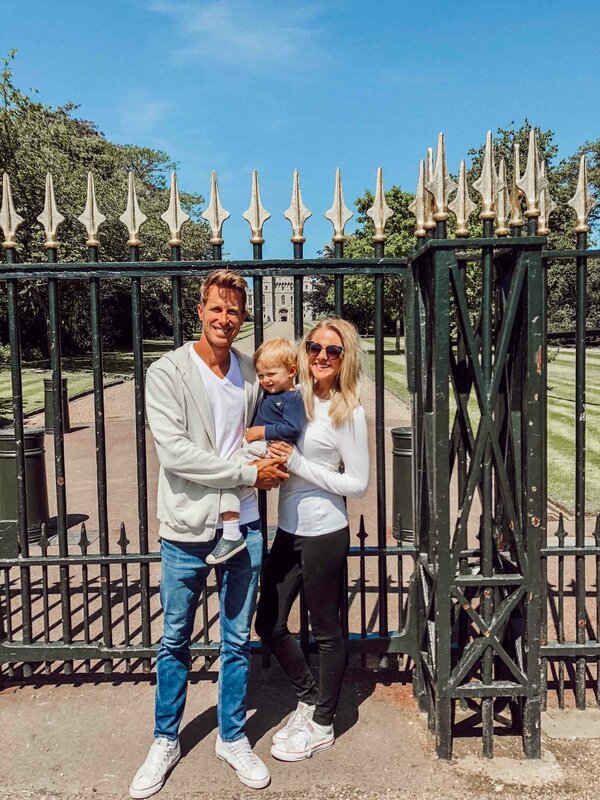 It worked out perfectly: finding cheap flights into London, our only free time in 2018 to travel for a significant amount of time being the end of May-June, wanting to take a family trip to celebrate our third wedding anniversary, and The Royal Wedding being scheduled that very week! So, we booked our time in England around our anniversary and their wedding, and it worked out perfectly. Never having been to the area before or to any event like it, we really had no idea what to expect. But, we hoped for the best, researched as well as we could, and dove headfirst in! And it worked out beautifully. I prayed so much before the trip that the Lord would allow us to brush up with the royals, and He answered the prayers so sweetly. It was such a memorable piece of history to be a little part of and I’ll never forget it all. 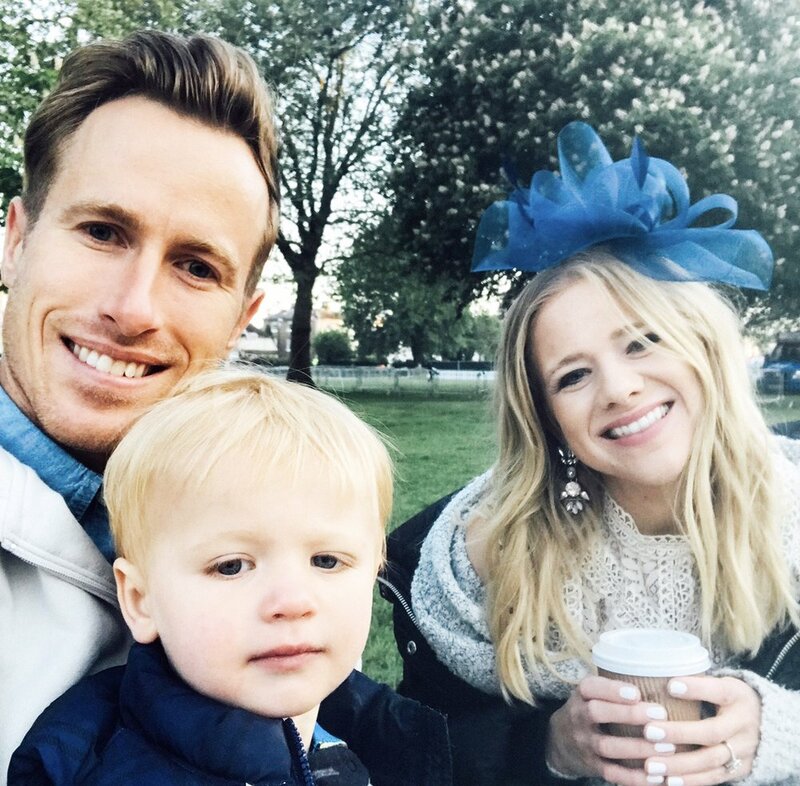 That week is one of the happiest of our life so far, for lots of reasons, including The Royal Wedding and the small way we got to be a part of it. Here is the story, for those of you dear readers who wanted to hear more! 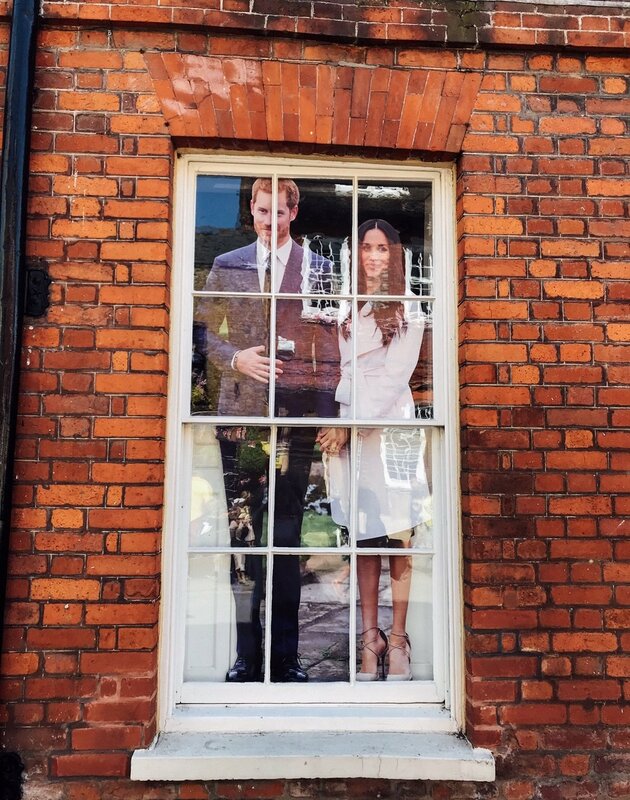 On May 17, just two days before The Royal Wedding, we - freshly arrived in England and rather jet lagged - made our way down to Windsor to "scope" everything out, figure out parking. At this point, everyone kinda thought we were crazy lol But, I believed it would be an amazing experience, and thankfully my trooper man believed with me, even though he didn't know alot about this Royal Wedding business! We parked near The Long Walk and then walked by this pink house and onto the path leading up to Windsor Castle. As we strolled along, there weren’t very many people there, really. Just a lot of press on the sides and lots of cameras and media centers being set up. It was so interesting to see it all. We had no idea at this point that “anyone” else was there — we were simply enjoying the excitement building and chatting about what “the big day” would be like as we made plans for where we would sit, etc. And then, about a minute later, THIS happened: Harry and Meghan DROVE BY, within feet of us!!!! I don’t think I’ve ever been so absolutely shocked in my entire life! I posted the video on my Instagram, watch here! 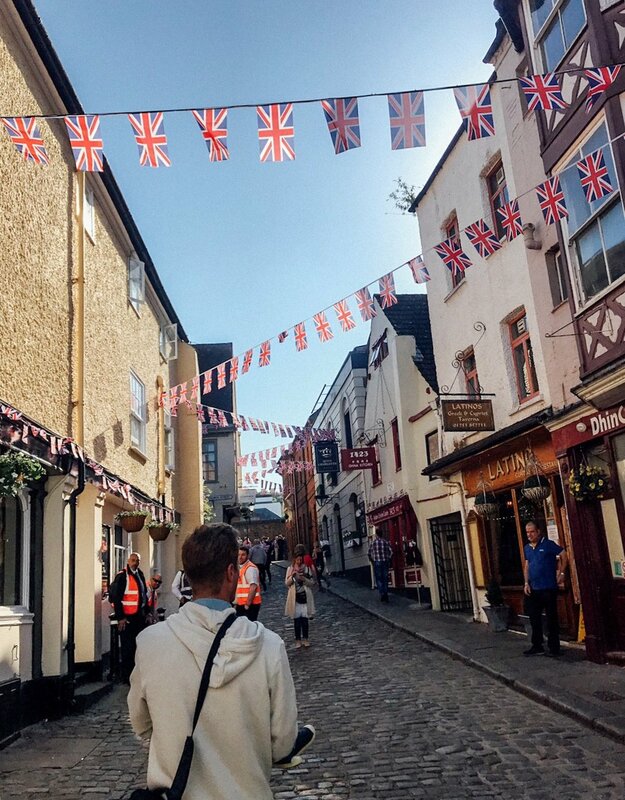 We strolled around Windsor — the historic part near the castle is darling and it was all decorated with bunting, flags, and lots of Harry and Meghan pictures! The air was thick with excitement before the wedding and it was such fun to be in the center of it. We were approached by several people who asked: “Are you the Americans who were by Harry and Meghan as they drove by?” Several news anchors interviewed us — it was all such fun! You can all just call us “The American Royal Watchers” from now on haha! We left The Cotswolds (where we stayed that week) at around 2AM in order to make it bright and early for the wedding. When we arrived (at about 4am?) in Windsor, crowds were already pouring onto The Long Walk. As the sun rose in the east, it looked just like a magical painting… a thick mist hung over The Long Walk and everyone said it looked exactly like the misty field scene in (the newer) “Pride and Prejudice” and it did. We unloaded all of our thing (I’ve gotta say, I was prepared for this day. I mean, it was basically my Superbowl haha ;) Stroller, jackets, water bottles, snacks, sunscreen, changes of clothes, sunglasses, hats, warm blankets (it was chilly in the morning but got super hot by noon! ), camp chairs (thanks to our lovely B & B hosts), etc! We made our way to The Long Walk. The grass covered in frost as the sun rose and warmed the whole area with a golden glow. One of the local pubs renamed itself to “The Prince Harry”! I sighed with relief as we set everything up and got our spot — right up against the barricade and not far from the castle. It all fell so perfectly into place. We loved meeting other royal watchers! I met a group of four ladies who had been two 6 royal weddings!!!! Our little set up, flags and all! We ran into Al Roker of The Today Show! I was thrilled and totally fan-girled and told him I watch his show every day haha!! He was very kind and talked to Weston and chatted with us for a little bit. Such a nice man! All of us Royal Fans started our day so early that by 9-10AM, we were all ordering lunch food and desserts! YOLO! Watching the wedding and waiting for the bride to drive by! We got to see Meghan and her mama drive by (ALL the tears for me!) It was so emotional and I was not the only one!! I loved watching the wedding in that crowd. It’s something we will never forget. Listening to the chatter of the people around us, the stories of those who also sat and watched Diana’s wedding and saw her drive by… it felt so significant and full-circle. Everyone kept saying how happy they were that Harry finally found happiness. How proud his mother must be, how she was “there” and we all felt her there, in spirit. The big moment!!! They looked so happy — just glowing! After the wedding ended, the crowds were just insane, so we stayed on The Long Walk, walked around Windsor, and got some lunch and coffee from a food truck. 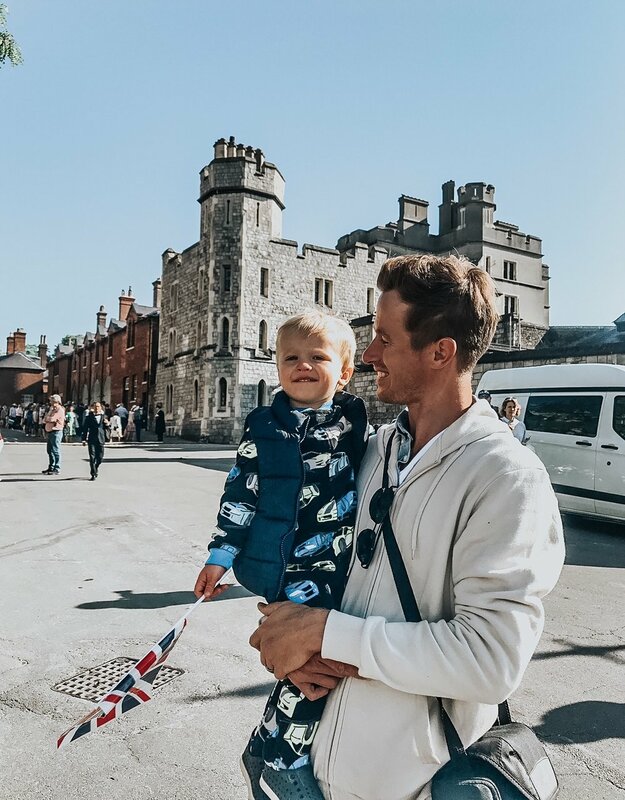 We sat by the castle for a while and Weston played while Daniel napped (I can’t wait to tell our little guy all of the parts of the day and how he was so close a part of history!) Before leaving, still waiting for traffic and crowds to clear, we laid a blanket down on the grass again. I noticed a movie playing on the big screens and when we sat on the grass: it was “The Princess Diaries”!! Truly magical and such a sweet memory from my teen years. 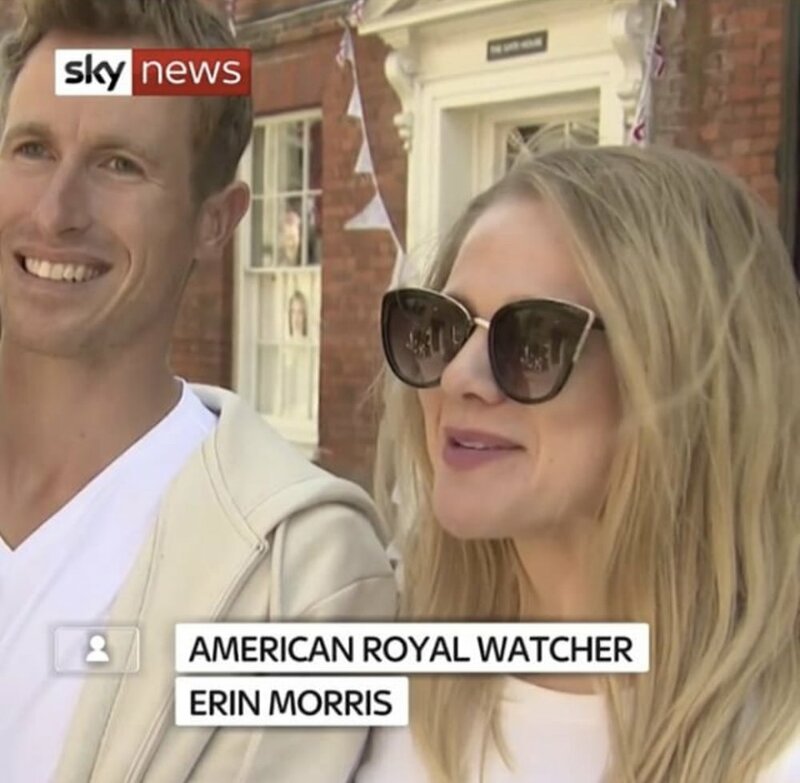 Like I said, whoever planned this day (I’m saying it was all Meghan, obviously!) is just such a kindred spirit. Such a happy, historic day and we will forever remember it all! So grateful we were there and for this memory. A highlight of our trip!